BourbonBlog.com first told you about the new Bulleit Rye Whiskey last week and now we are reviewing it. Tom Bulleit tells us that he has been developing the new Rye since 2004, but requests by the trade to produce it helped make the project become one of high priority. We’ve made it a priority to review this new Bulleit Rye for you as we’ve provided tasting notes below. We recommend picking up a bottle as it now being released nationwide. Notes: Mash bill is 95% rye and 5% malted barley. The grain division sources from high quality ryes around the world including Germany, Sweden, Canada and United States. Taste: Enters with soft mouthfeel. Mild tobacco and some cherry notes hit first. Mid-palate the rye becomes buttery smooth and well rounded between the sweet and spicey characteristics. This is an incredible sipper straight or on the rocks. Additionally, the balanced spice will make it an excellent mixer as we suggest enjoying it in a Manhattan or a Vieux Carré. Finish: Some cinnamon red hot candy with a bit of kick and hints of candied fennel with medium dry finish. Just finished my first of what will be many bottles of Bulleit Rye. I love rye whiskey, and this beats the pants off an Old Overcoat any day. Fantastic stuff. I read about the Rye Whiskey and bought a bottle in the Virginia ABC store. Very nice. I am normally a single malt drinker but this has been added to the bar! I’m a big fan of American rye whiskey (single malt Scotch is my first love, rye my second) and I must say I’m very impressed by this. It lacks the potency of top-notch ryes like Thomas H. Handy Sazerac but more than makes up for it in style and finesse. Clean with an absolutely massive nose and taste, a little abrupt on the finish, but all around a truly great whiskey. You can’t beat the bang for the buck. 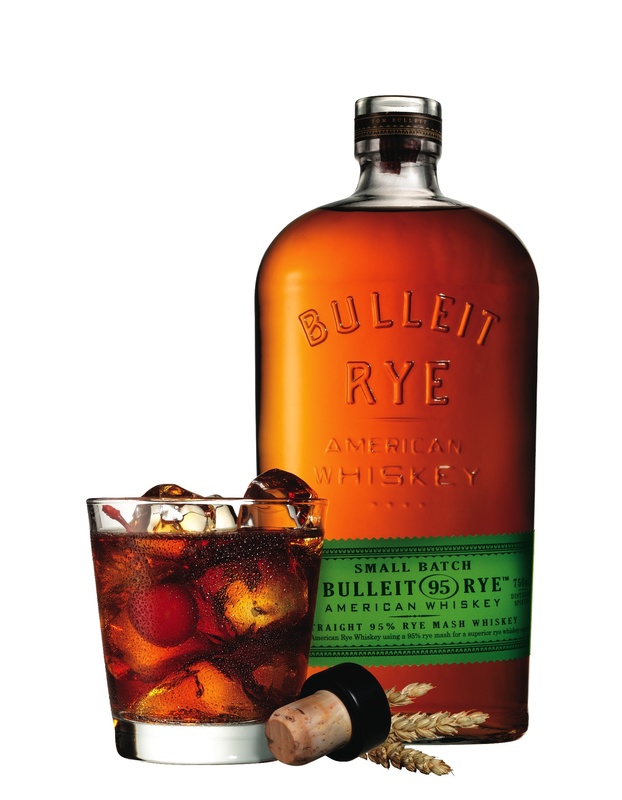 Bulleit is a fantastic rye, smooth with a slight and flavorful edge to it and very pleasing to the palate. Been a long time rye drinker and for a few years, the rye stocks have been a little hard to find. Now there are many distillers getting into the marketing of top notch ryes. I can buy Bulleit here in Denver for twenty bucks a bottle and frankly, it’s a great deal for 90 proof rye whiskey. Bulleit is ‘hardier and richer’ than say Templeton which is lighter and more floral-like or Russell’s Reserve which is very smooth and well balanced. Both of these are priced in the mid to high thirties and with Bulleit’s price point and quality, Bulleit is a very highly recommended everyday rye, straight up or on the rocks. I’ll try this brand as I’m a J Daniels neat drinker at times. How about an Old Fashioned cocktail with this rye whiskey? San Diego has many great bars and lounges.